Researchers at the Penn Memory Center are currently enrolling participants of both normal cognition as well as those with Mild Cognitive Impairment (MCI) and Alzheimer’s disease (AD) for Alzheimer’s Disease Neuroimaging Initiative 3 (ADNI3), a non-treatment, longitudinal, clinical research study that will study subjects for up to five years to determine the best ways to measure disease biomarkers, as well as participant pathology and functional and cognitive decline if it occurs. The study will look at many factors on the spectrum of cognitive impairment, and follow participants as their pathology progresses from normal aging to mild symptoms, on to possibly MCI, dementia or AD if it occurs. 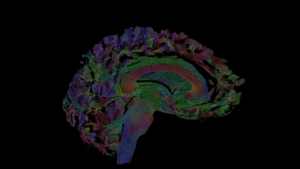 After an initial screening and a baseline visit, researchers will use screening procedures such as MRIs, PET, and CT scans for brain imaging, memory testing, physical and neurological exams, a lumbar puncture, and blood draw to discover and/or validate biomarkers in AD research. Those who are of ages 65-85 and have normal cognition are eligible for the study, as well as those who are of ages 55-90 who have a diagnosis of MCI or AD. Participants must be willing and able to consent to regular imaging and biomarker collection, and must have a reliable study partner who has the ability to stay with the study participant for the entirety of their visits. ADNI3 is the latest phase of The Alzheimer’s Disease Neuroimaging Initiative, which has focused on keeping its information available to researchers in order to advance the flow of information about the disease. The goal of this newest study is to research the natural progression of age and cognition, as that relates to Alzheimer’s disease and cognitive decline. Data collected and analyzed from the study will be used to identify diagnostic markers, determine the best measures for disease monitoring, and facilitate the testing of therapeutic interventions with the ultimate goal of improving Alzheimer’s disease prevention, care, and research. To learn more about the ADNI3 Study, please contact PMC research coordinator Jessica Nuñez at 215-662-4379 or jessica.nunez@uphs.upenn.edu.